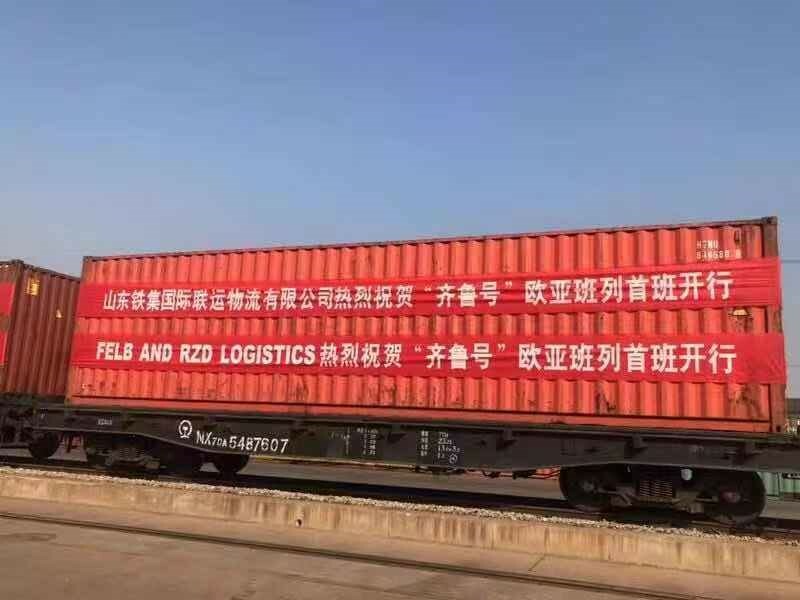 RZD Logistics has expanded the geography of its railway services from China to Russia by organizing on November 13 the first shipment of a container train from the city Zibo of Shandong province. The train is expected to arrive at Selyatino station (Moscow region) in 14 days. RZD Logistics organized the first mile of the delivery of 40-foot containers with fast moving consumer goods and equipment by trucks to Zibo station. After that, 36 containers were reloaded to railway. The container train will go through the territory of China, Mongolia and Russia across the border points Zamyn-Uud and Naushki to Selyatino station (Moscow region). Shipments across the new route are expected to become regular. “The new route symbolizes further development of cooperation between our countries. We expand the geography, taking into consideration the interests of consignors, and create new business connections, which are beneficial for all participants of the process. In Eastern part of China clients more often prefer railway as a mode of their goods’ transportation. Time of delivery and cargo safety are of utmost importance for them. The route starts at Zibo, which is a large industrial center with highly developed railway infrastructure. That makes us confident in the reliability of the new service and demand for it. Our next step involves marketing activities that should provide a new train with permanent cargo base and help to make shipments regular”, – noted the CEO of RZD Logistics Viacheslav Valentik.